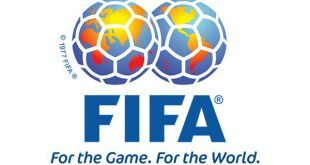 KUWAIT CITY, Dec 6: His Highness the Amir Sheikh Sabah Al-Ahmad Al-Jaber Al-Sabah, alongside other senior Kuwaiti officials, received on Wednesday at Bayan Palace visiting FIFA President Gianni Infantino and a delegation accompanying him. 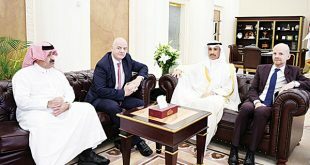 His Highness the Amir expressed his gratitude to FIFA’s head for his unyielding support for Kuwaiti athletes, which he said was imperative to allow the nation’s youth the opportunity to excel. 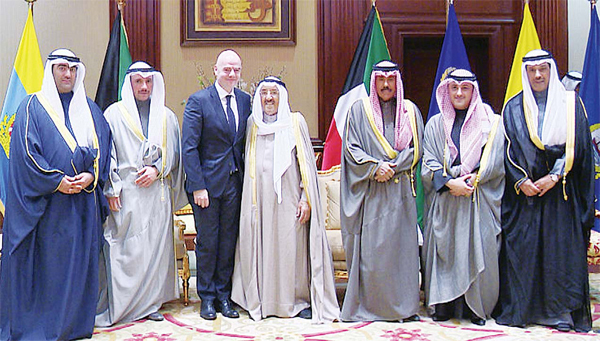 The encounter brought together officials from across Kuwait’s political spectrum, including His Highness the Crown Prince Sheikh Nawaf Al-Ahmad Al-Jaber Al-Sabah, National Assembly Speaker Marzouq Al-Ghanim, Deputy Minister of Amiri Diwan Affairs Sheikh Ali Jarrah Al- Sabah, Minister of Commerce and Industry and Acting Minister of State for Youth Affairs Khaled Al-Roudhan and head of parliament’s priorities committee MP Ahmad Al-Fadhl. 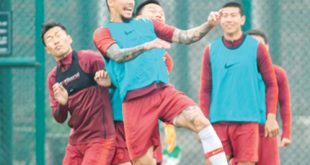 Meanwhile, Infantino spoke of his “honor to have met a world-renowned figure like His Highness the Amir”, as he gleefully announced that a two-year ban imposed on Kuwait’s football federation has officially been lifted. 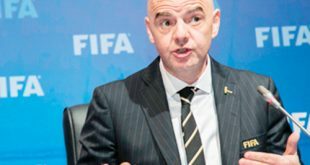 On this monumental announcement, Infantino hoped it would be the start of a new era for the soccer-crazed Gulf nation, saying he was proud that Kuwait has rejoined the FIFA family. He added that lifting the suspension on Kuwait’s football federation was a “commemorative gift to His Highness the Amir in a day that will forever be remembered.” Kuwait’s chief lawmaker Al-Ghanim thanked His Highness the Amir for his efforts to allow Kuwaiti footballers the chance to play again, saying that Infantino should be given his due as well for welcoming Kuwait back to FIFA. 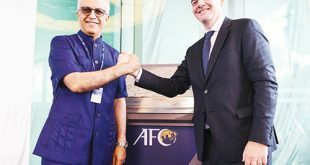 Minister of Trade and Industry and Acting Minister of Youth Affairs Khaled Al- Roudhan congratulated on Wednesday the country’s political leadership and people on lifting the suspension of Kuwaiti football activity officially by FIFA and welcomed the visit by President of International Federation of Association Football (FIFA) Gianni Infantino to Kuwait. “I extend my sincere congratulations to His Highness the Amir and his Crown Prince and to the Kuwaiti people on such occasion,” the minister said in a press statement. The minister also recalled the role of senior political leadership support and support throughout the period of endeavors that culminated finally in this national achievement. “The support and guidance of His Highness the Amir has been a driving force for exerting such tremendous work to resolve this complex issue,” Al- Roudhan said adding, “nothing would have been made without the direct support of His Highness the Amir and the support of His Highness the Crown Prince, to reach what we have reached today.” Al-Roudhan thanked all those who participated in the efforts to reach this auspicious day for Kuwait and the Kuwaiti people. He also thanked efforts exerted by Parliament Speaker Marzouq Ali Al-Ghanim, which were very critical and cannot be ignored, especially the tools and constitutional procedures that have been activated and amended recently, and the adoption of the new sports laws. Al-Roudhan added that “the tremendous efforts exerted by the Speaker was certainly a uniting efforts along with His Highness the Prime Minister Sheikh Jaber Al-Mubarak Al- Sabah, and his government which went over ever detail step by step until we got back rightfully. “I would also like to thank the distinguished members of parliament, especially the members of the Youth and Sports Committee, who were keen to reach this result today,” Al-Roudhan added. 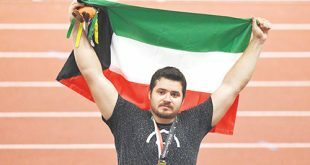 “The people of Kuwait have the right to rejoice after the lift, we whole heartedly miss being in international competitions, and we hope to see Kuwait’s flag back again shining high in the skies of international forums,” he said. 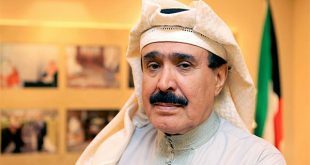 Meanwhile, lawmakers congratulated HH the Amir Sheikh Sabah Al- Ahmad Al-Jaber Al-Sabah and all citizens on the decision of International Football Federation (FIFA) to lift the suspension of Kuwait’s participation in international sports events after the National Assembly passed the new sports law last Sunday. 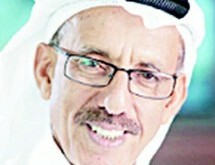 MP Hamoud Al-Khodair pointed out that the decision to lift the ‘unfair’ suspension is the result of efforts exerted by National Assembly Speaker Marzouq Al-Ghanim, a number of MPs and acting Minister of Commerce and Industry State Minister for Youth Affairs Khaled Al-Roudhan as they are keen on serving the interests of Kuwait and its people. 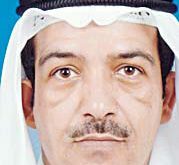 He said the difficult circumstances surrounding Kuwait’s attempts to lift the suspension did not hamper such determination and persistence which led to adoption of the new sports law in accordance with the requirements of international organizations as a major and important step towards lifting the suspension. 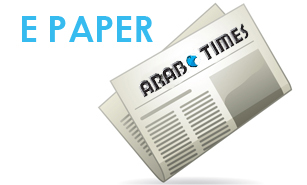 He added that FIFA’s decision ended a bad period, during which the young people suffered due to the unfair suspension. 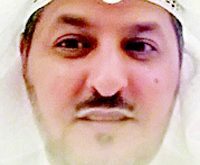 On the other hand, MP Shuaib Al- Muwaizri called on the government to refer the entire sports file to the Public Prosecution in order to hold accountable those who betrayed the country. 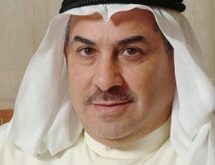 Moreover, acting Minister of Commerce and Industry State Minister for Youth Affairs Khaled Al-Roudhan delivered the good news to the political leadership and people of Kuwait. In a press statement, Al-Roudhan said, “I extend my sincere congratulations to His Highness the Amir, HH the Crown Prince and all Kuwaitis on the official decision to lift the suspension.” He called to mind the role played by the top political leadership in supporting all efforts toward this national achievement. He stressed that the support and guidance of His Highness the Amir are considered a driving force to resolve this thorny issue. “Without the support of His Highness the Amir and His Highness the Crown Prince, we would not have done what we achieved today,” he added. 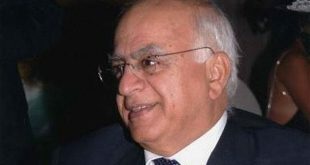 He went on to say the efforts of the speaker should not be overlooked, especially since the constitutional tools he used and procedures he took resulted in cooperation between the legislative and executive authorities in adopting the new sports law.